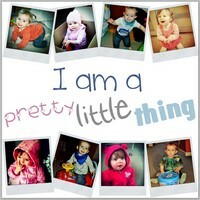 I was very lucky to be chosen as the winner of Hollybobbs Pretty Little Things photo competition last week! This week the theme is the first photo after you welcomed your precious one to the world! It is being hosted by Vikki from Love from Mummy, so please join in on her page! My boys had very different births hence the difference in me in the photos! Big boy was born at 8.25am after a 23 hour and 55 minute labour. It was an awful experience and at one point I felt like someone was reaching in and ripping my insides out! Late epidural and forceps later our big boy was here! He was totally squished, bruised, swollen and looked like the most wonderful ugly bug! Small on the other hand came into the world in a quiet controlled experience in the midwife led unit at Weston Hospital, at 3.15am. 3 and a half hours, just gas and air and I was kneeling up on the floor the whole time! It may sound ridiculous but I felt fantastic. Of course it hurt, but I don't remember being in terrible pain just trying to use mind over matter! I also had false eyelashes put on a few days before my due date, so even though I looked a tired wreck, I felt like a glamourous Mama! Plus, I was over a stone and a half lighter with small boy! I love that my husband's eyes are so red in his first photo with big boy. We didn't get one of him and small boy on their own until later when we went back to the ward, as he went straight under a heat lamp as he was a bit chilly. You can't win them all! Mama and big boy 5 minutes old. Mama and small boy 2 minutes old.